Third-year PharmD student Alex Wontor (front right) worked in a mobile clinic on a faculty-led internship in Belize. In some areas of the world, the role of a pharmacist can be completely unlike what we see here in the U.S. For example, in England, pharmacists can prescribe medications, and in China, physicians more commonly can dispense medications without a pharmacist’s aid, changing pharmacists’ health care role. To broaden the context and offer valuable perspectives in global health for future pharmacists, the University of Wisconsin–Madison School of Pharmacy’s PharmD program includes a breadth of unique experiential learning for students at all levels. First- and second-years can participate in international summer programs or service learning opportunities, and fourth-year PharmD students can use an international rotation as one of their eight Advanced Pharmacy Practice Experiences (APPEs), required for graduation. Kara Wischer, a fourth-year PharmD student who recently returned from studying abroad in Belize, says the experience has impacted her perspective on pharmacy at home. “I came back from my rotation really appreciating the resources I have to help patients in the U.S., as well as some creative ideas on how to work in clinics or areas with limited funding and resources,” says Wischer. “International experience gives students perspective that there’s more than one way to do things, which expands their repertoire to be really skillful practitioners,” says Connie Kraus, director of the School of Pharmacy’s Office of Global Health and vice chair and professor of the Pharmacy Practice Division. Starting at the end of their first year, students in the School of Pharmacy’s PharmD and Pharmacology-Toxicology programs have opportunities to go abroad through the UW–Madison’s Global Health Institute (GHI), an interdisciplinary program that also includes the School of Nursing, School of Veterinary Medicine, and the School of Medicine and Public Health. For those first-year students, faculty-led interprofessional summer field courses take them to Bangkok, Thailand; Kampala, Uganda; Otavalo, Ecuador; or Bhopal, India. “Students are often not at the point in their academic career yet where they’re able to provide services to patients, so for the first- and second-year students these experiences tend to be more public health-oriented” explains Kraus. Mandy Kvam, fourth-year PharmD student, chose an APPE rotation in Thailand. Kraus, one of the founders of the GHI, says that even though first-year PharmD students aren’t yet ready to practice pharmacy abroad, they’re ideally positioned to consider pursuing a master of public health or a Global Health Certificate, which both require field experience. Following their second year, PharmD students are also eligible for faculty-led pharmacy internships in Guatemala and Belize through the Schools of Medicine and Public Health, Nursing and Pharmacy. Alex Wontor, a third-year PharmD student, was one of two pharmacy students to join an interdisciplinary team of UW–Madison health care students, from the School of Medicine and Public Health’s physician assistant program and the School of Nursing, at a mobile clinic headquartered in Hopkins, Belize. “The international pharmacy experiences really give students much more of a global health and public health perspective,” says Kieser. That perspective proves useful to students when it comes time to function in less than ideal circumstances, or when it’s time for innovation. The Pharmacy Global Health Interest Group (PHGIG), a student-led group focused on international health, encourages pharmacy students to share their travel experiences with the group for further discussion and learning opportunities. Pharmacy students interested in global health can also pursue a Certificate in Global Health through GHI at undergraduate and graduate levels. The fourth year of every UW–Madison student pursuing a doctor of pharmacy degree is set aside for 48 rigorous weeks of APPE clerkships that give PharmD students hands-on experience in a myriad of circumstances that range from hospital pharmacy or ambulatory care, to community pharmacy, rural health, or even international health systems. Currently, the UW–Madison School of Pharmacy offers international APPE rotations in seven countries: Belize, China, England, Oman, South Africa, Spain, and Thailand. Each offers a different set of experiences and expectations, and each gives students a different look at how pharmacists can and do function. Alex Wontor, third-year PharmD student, on a faculty-led internship in Belize. 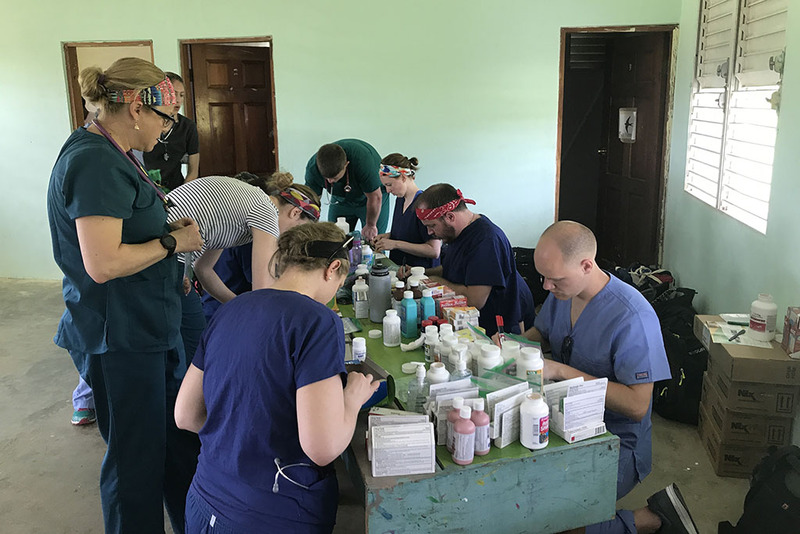 In Belize, PharmD students form part of a multidisciplinary health care team from all over the world, providing primary care to patients who would otherwise have no care. Kieser says that the Belize rotation is more of a mission-type trip, where students have few resources, no computers, no vials, and have to do everything by hand. Wischer says the one-on-one work she did in Belize with other health professional students from around the world was invaluable. The School’s clerkship program in South Africa offers two kinds of rotations. For one, PharmD students serve as an instructor in a pharmacotherapy lab, where they assist faculty in curriculum development and create activities and tests. The other option is a clinical rotation in a hospital, working under a pharmacist. Students are sent around the globe to learn how pharmacists function in other parts of the world. But that depth of understanding doesn’t get abandoned at customs. Student pharmacists are learning valuable practical and interpersonal skills that they’ll continually draw on throughout their careers. Mandy Kvam, fourth-year PharmD student, on an APPE rotation in Thailand. That’s an idea Kraus calls “thinking glocally,” and finding the connections between health care abroad and at home. “All health care providers learn how to take care of the patient in front of them, but many health care providers also find a need to think at a population level,” Kraus says. “The preparation that UW–Madison students get from pursuing international opportunities—a Global Health Certificate or a master’s in public health—helps them to gain skills to provide care at a population level and foster the health of the community. “It’s not only about drugs. It’s about health,” says Kraus. But the benefits of this international experience aren’t strictly professional. The student pharmacists traveling abroad are also evolving personally, which will in turn help their professional growth. The School first sent PharmD students abroad in 1996, when Kraus traveled to El Salvador with two students for a study abroad with medical colleagues, which grew into the faculty-led internships through the GHI, which then provided a springboard for the development of the School of Pharmacy Office of Global Health. The growth of the expansive international APPE program, which began in 2006, speaks for itself. Kraus estimates that the School sends roughly 15 percent of PharmD students abroad for APPEs, compared with a national average of just 6 percent among pharmacy schools across the nation. Since the international APPE’s inception, the UW–Madison School of Pharmacy has sent more than 150 students to 10 different countries. In many cases, it’s also an exchange. “As a world-class institution, we invite the world to our campus,” says Kraus. 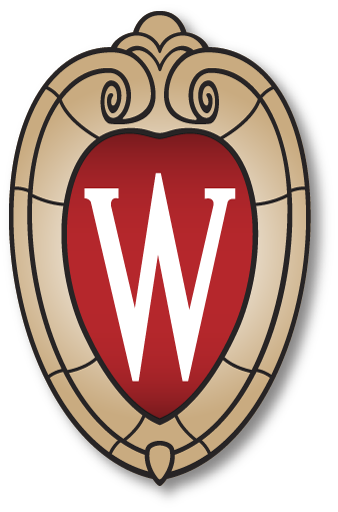 Each international clerkship site was developed because of connections or relationships with someone at the University of Wisconsin. The School’s connections in Australia and Hong Kong are both through alumni, while those in Spain and South Africa are through colleagues of UW–Madison faculty. Oman was brought into the program through a relationship between the country’s Nizwa University and UW–Oshkosh. “That’s the secret to sustaining these things: building the relationship with other programs and finding out what we can offer them and what they can offer us,” explains Kieser. The School’s strength in global health is all part of the Wisconsin Idea—making a contribution to not only the state, but also the world. Learn more about the School’s Office of Global Health, Pharmacy Global Health Interest Group, and international APPE opportunities. Read about the School’s residency-track clerkships, including the new rural health APPE RT.